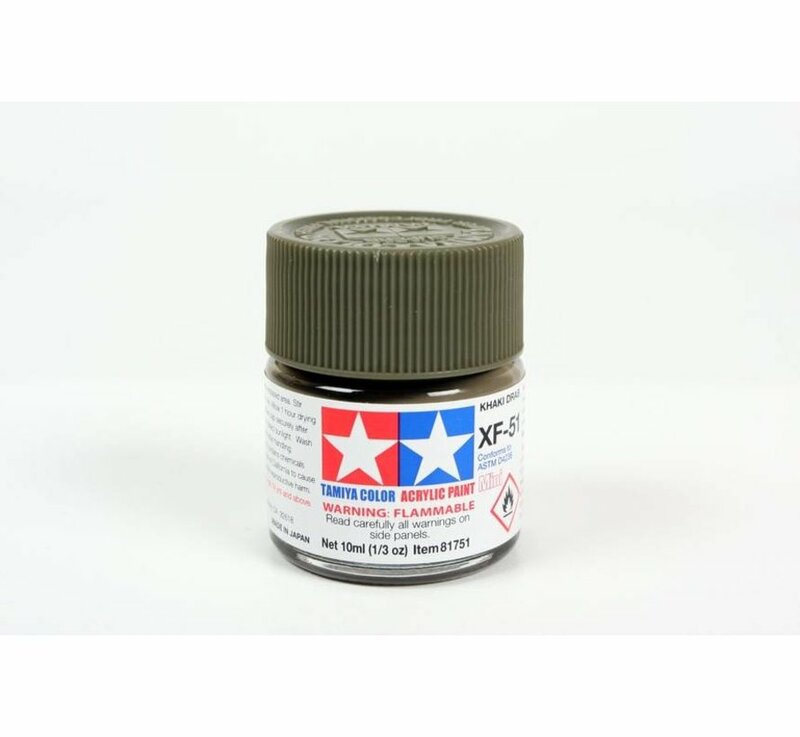 This is a 1/3 oz (10ml) MINI glass jar of XF-51 Acrylic Paint from Tamiya. FEATURES: Made from water-soluble acrylic resins and are completely safe. Can be used on most common model plastics such as styrol resin, styrofoam and wood. 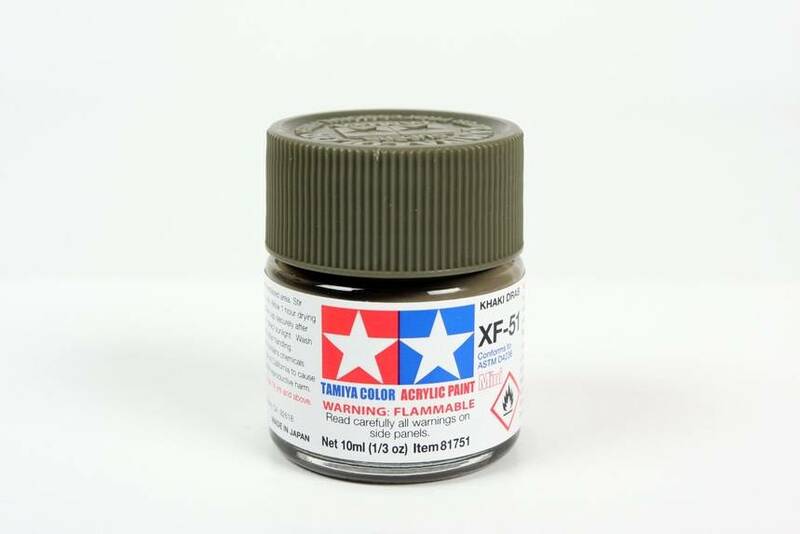 Excellent for either brush or spray painting. Covers well, flows smoothly with no blushing or fading, and can be blended easily. Jar will accept standard airbrush lid. Can be washed away with plain water if done prior to curing. Available in 19 glossy, 45 flat and 7 translucent colors plus an exclusive thinner and a flat base. REQUIRES: Paint Brush or Airbrush to apply to model.